A no-compromises interface for using weak signal modes (WSJT - JT65, JT9, etc) with the K2. Built-in USB serial interface. No external serial adapter required for portable use. Low power, low noise fixed level output taking directly from product detector via J5. 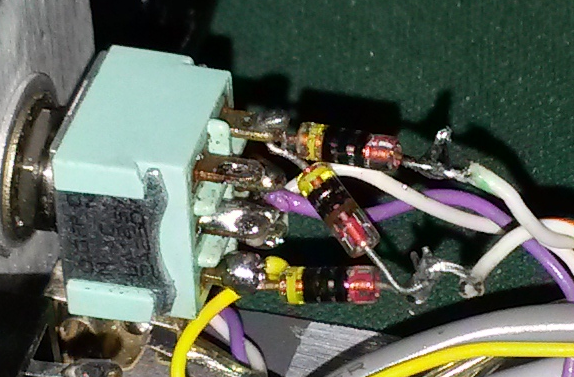 Minimum amplifier gain selected to allow use of AGC OFF. External transmit audio input automatically mutes microphone when keyed. 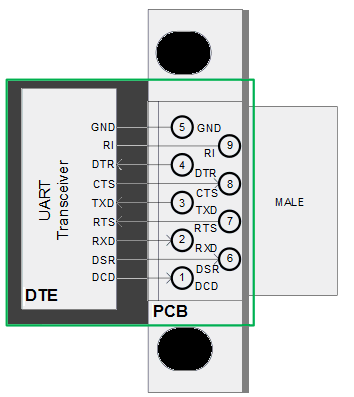 Use FTDI DB9-USB-D5-M (or DB9-USB-D5-F but beware of pin numbering differences). Mounts in hole in K2 back panel in place of DB9. NOTE: Provides serial data only. Top view looking through the module. Detail of staggered socket used for USB module. Relocate C1 and C2 on the RF board to the bottom of the PC board. Install a two pin header in holes for C1 and C2 closest to the rear of the K2. Header won't fit in holes for C1 and C2? Reduce diameter of solder pins on header to fit in smaller component holes. 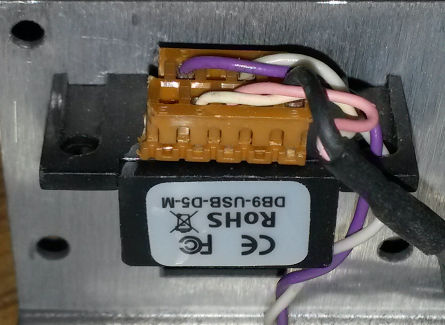 Switch wiring detail with diodes. White and Purple wires from USB Serial module. Yellow wire to TX Audio interface. White wires with green and orange tracers go to new header on RF board. Low power, low noise op-amp with voltage gain of 3 - 5 seems about right for "weak signal use". "Weak signal use" means that the AGC is turned off so weak signals can be copied near the noise level among QRM. 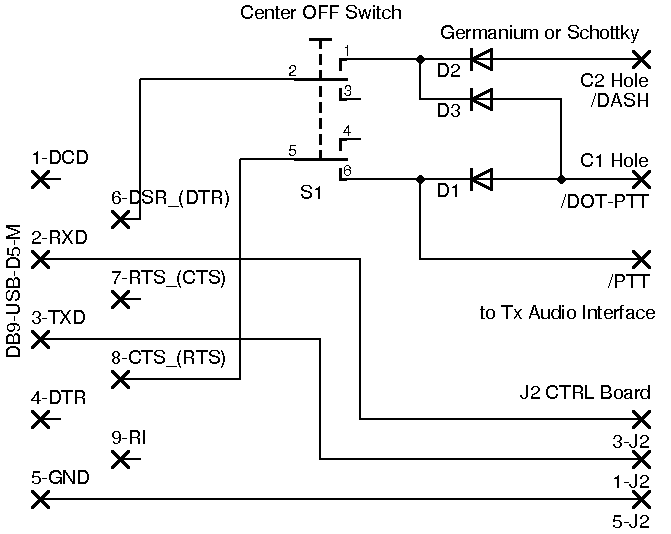 Low gain to avoid having the op-amp clip with strong signals. Resist the urge to use the conditionally stable, moderately noisy LM386. The LM386 will clip with strong signals. Putting a trim pot on the output of the LM386 makes no sense. Smaller valued electrolytics could be used. I used what was readily available from my junk box. NOTE: 1/8 watt resistors placed on bottom of board. Future builders: IC2, R9 and C7 should be moved to the right to relieve overcrowding. Proto board from «Nightfire Electronics». Please excuse the ugly soldering on the headers. If you would have had as much trouble with those IDC headers as I have you would solder them too. Purple wire from SSB board is 8V. Remove C34 from SSB board. Red to + and white to - of C34 location. Rx: Set PC line gain so level slider on WSJT-X is near middle. Suggest disable AGC. Tx: Adjust PC output level for one ALC bar flickering (requires AGC data mode mod). Use 5W max.